AVR-PG1B is programmer based on serial port PonyProg design. It takes the power supply from the target board. 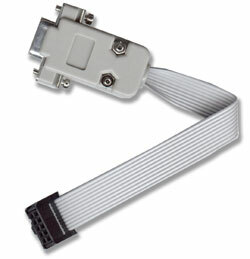 The connector is 2x5 pin with 0.1" step and Atmel STKxxx compatible layout. SUPPORTED DEVICES: All Atmel AVR microcontrollers supported by Pony Prog software.